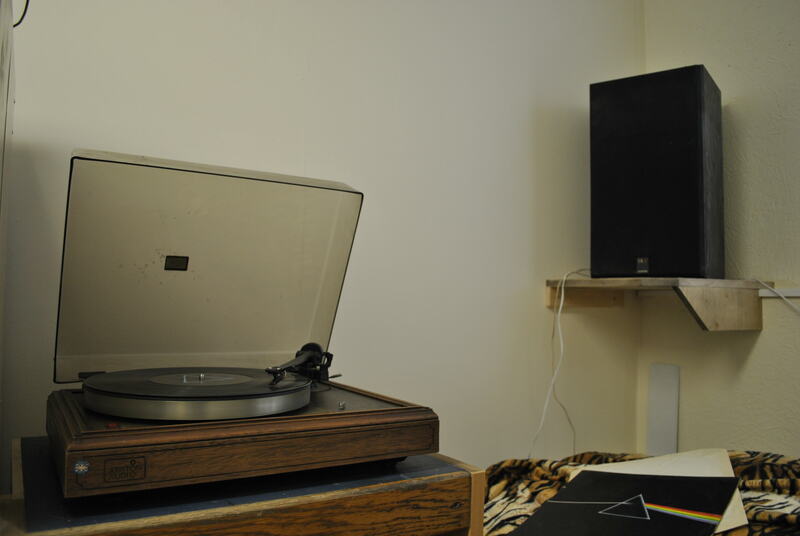 I’m the lucky owner of rather a good turntable – I came by it almost by chance some 20 years ago. Despite the advent of CD and MP3 I kept it primarily because I own quite a lot of music that simply has never been released on CD. That isn’t why I dug it out of the store, and it’s not because I needed something “vintage” to go with the enormous tiger striped beanbag. I dug it out of the store because I wanted to listen to music. I’m not going to pretend that vinyl sounds “warmer” or in any way better than CD or MP3 because it’s a plain lie. OK, so with a top quality deck and a brand new pressing you could in theory get better quality than a CD but that’s just not how it works. Dust happens, scratches happen, wear happens and you can hear all of it. So why listen to an inferior reproduction system? Because putting on a record is a ritual, you don’t put on a record to play in the background. As Pooh Bear says that “When you see someone putting on his Big Boots, you can be pretty sure that an Adventure is going to happen,” when you see someone putting on a record you can be pretty sure that they’re going to Listen to Some Music. So I’ve been working through my record collection and rediscovering the world of vinyl and how much more flexibility it gave artists and record producers. There are coloured records, shaped records, picture discs and there’s enough room in a 12″ pack to neatly fold all sorts of things, but especially posters. Then of course there are gatefold sleeves and the whole world of cover art. I used to have a wall display that was made out of record covers – 12″ of square cardboard is large enough to make an impression. The cover art of a record really matters, I’ve bought a fair few of them on the strength of the cover art alone. There are a few less well known charms too, like run-out groove etchings. One of the most famous that appears on a lot of records, is this. “A Porky Prime Cut” is the signature of renowned record cutting engineer George Peckham. Quite often the band themselves get in on the act too, often with weird and cryptic messages. 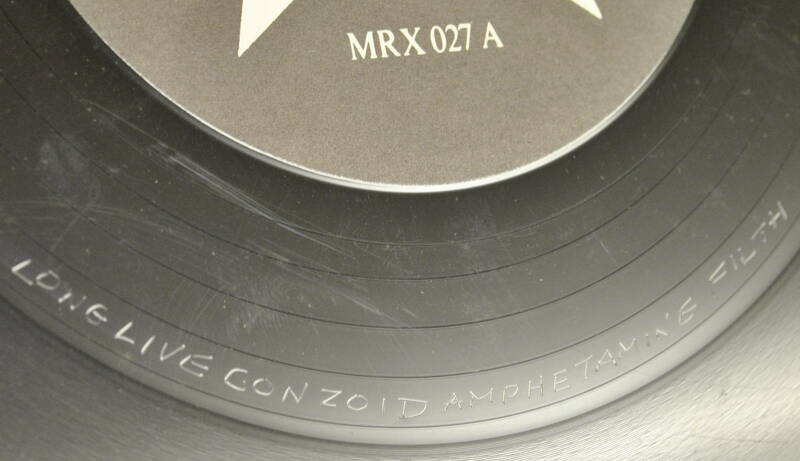 One of the most notorious is the run-out groove etching on the Sisters of Mercy’s 1983 Temple of Love original 12″ single. I think we can safely assume that they were not fans of the temperance movement. Clearly it’s not worth buying a load of vinyl and forking out a small mortgage for a top quality record deck. 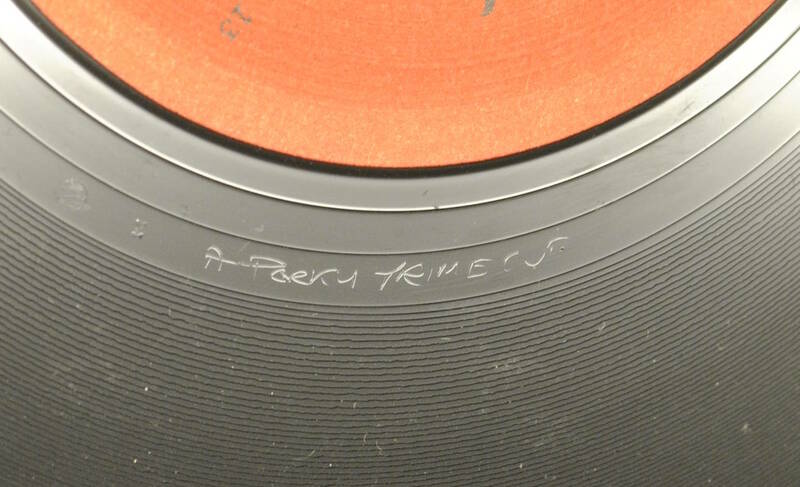 Vinyl is easily damaged, it wears out, it’s inconvenient to store and to play and it weighs a ton. But it has a charm than CD and MP3 simply don’t have and for that reason alone I love it. This entry was posted in Life, Technology on 2013-05-07 by Tom Fosdick.